A couple of weeks ago I wrote How to Get – and Use – Airline Status Matches. Back in September American closed their ‘status challenge’ offer where you could pay a fee to earn elite status on an expedited basis. The offer is now back. The old offer was based on qualifying points but American no longer uses the ‘points’ system. So the new status challenge is based on qualifying miles, with premium cabin fares earning bonus qualifying miles. Currently American Gold requires flying 30 segments or 25,000 miles and Platinum requires flying 60 segments or 50,000 miles. To sign up, call American. They’re charging $200 for the Platinum challenge. Gold will be less. Note that you do not receive status immediately. You do not have to show elite status with a competitor airline, either. You get elite status when you complete the challenge. Historically you weren’t allowed to use the challenge if you had done so within the past 5 years, and you couldn’t use the challenge to keep your current status. I assume similar rules remain in place. Separately American has offered no fee status challenges, especially targeted at United 1Ks although sometimes Delta Diamonds, where they would give you status for three months (including top tier Executive Platinum status) and an expedited path to keep that status. If you are a top tier member of another frequent flyer program, you’d probably want to start by asking about a status challenge based on your current status. That option is sometimes available and sometimes not. Do they allow you to choose when the 3 month period begins? (My wife has a lot of flights this year, but not until June). If completed, this would earn status through 2016 or 2017? How are “qualifying miles” calculated? Is it actual miles flown or is there any specific way to calculate it? If you completed this challenge in Feb. 2016 when would you lose your elite status? Historically challenges completed in the first half of the year yield status through the end of the status year, and challenges in the back half of the year yield status for the following year. @shah – actual miles flown on american [could be less on qualifying partners), but may be more than one based on fare. see the link in the post regarding the 2016 mileage program. HUGE! Great news, thanks Gary. These requirements seem fairly easy. Unless I’m missing something (and my estimates are on the high side since NY-SF is probably in the 5K park) ? Would the 10k EQM that you can earn with $40K spend on the AA Executive card count towards the challenge miles? That pic of 1st in AA looks weird!? 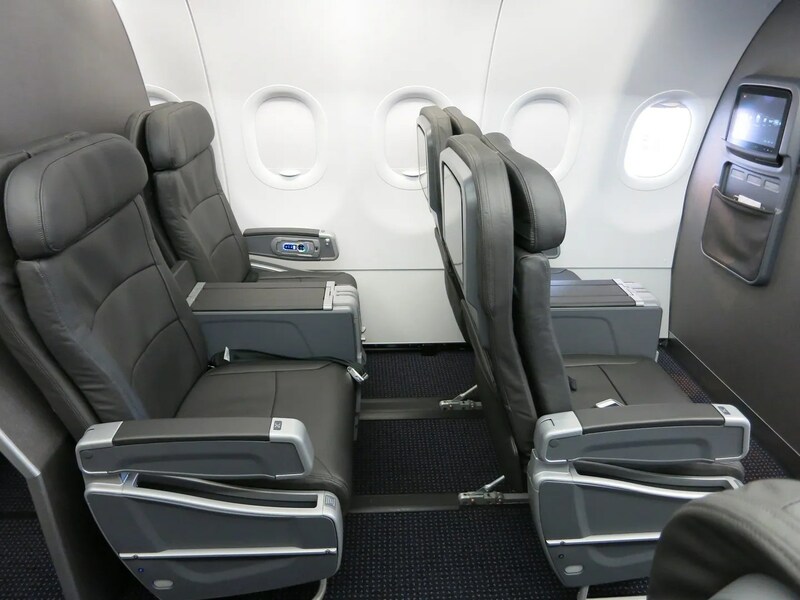 Row 2 has nowhere to recline! is there a known deadline to sign up for this offer? Just got off the phone with AA and signed up for the Plat challenge. Here is some info I was able to find out and hopefully it answers a few of your questions. 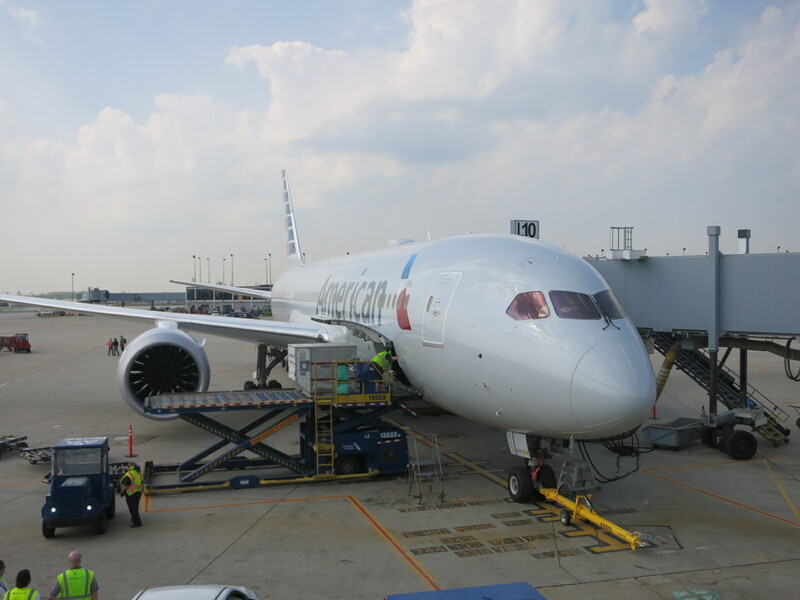 -Even though AA now takes into account the amount you spend on the fare, they do not require you to meet a separate spending requirement for status unlike Delta. You will earn a minimum of 1 Elite Qualifying Mile per mile flown on ANY flight, even deep discount fares. Buying higher priced tickets will multiply the amount of EQMs earned. For example a full fare Business and First Class fare will earn you 3xEQMs for that fare based on what AA told me. -If you qualify for the status within three months, you will have status until Feb 2017. -While they are not advertising it, AA might be willing to give you a status match. Not sure if it was because I was signing up for the Platinum Challenge or not, but they offered me gold status to match to my Cathay Pacific silver status, and they didn’t even check any credentials, they just up and gave it to me 😛 So I would recommend calling AAdvantage and asking for a status match. Gary, who do you think should take advantage of this? I am scheduled to fly >7000 miles on AA here in the next two months. Not sure I’d hit the 12,500 for Platinum. I already have the AAdvantage Executive card. Is it worth the money for me? @Eric Gold isn’t that much better, really… upgrades are rare though not nonexistent. you do get main cabin extra at check-in if available. and a mileage bonus for your flying. really depends on how much you are going to fly going forward. Can existing Golds apply for Platinum challenge? This will fit in nicely with the business class fares on a BA we booked last fall when BA had that great deal. It’s 2xEQMs for discounted business class fares now right? @James they matched my Cathay Pacific Silver status to AA Gold without any need to provide proof. I would give them a call and ask about a status match to your BA Gold. Do the flights need to be on AA metal? I’m planning to fly Alaska in a few days and was planning to have the miles credited to my AAdvantage account. Would these miles count toward the challenge? @Amir. Thanks. Very helpful. Cheers and a happy and safe 2016! My Plat status I earned via a status challenge expires at the end of Feb.Any word if they are enforcing the five year rule so I can make a run for status again in March? Thanks Gary! I just called AA desk. Paid $200 for plat status thro Feb 2017! My return flight from HKG on 1/1 earned 17500 EQMs which exceeded the 12500 needed. They can backdate enrollment up to 2 weeks but not before 1/1. As someone earlier stated, status met in first half of year is good thro Feb 2017; status met in last half of year is good thro Feb 2018. Nice way to start the year! If you sign up for this now and complete it, then you get gold_status through early 2017. But what if you actually say hit 25000 eqm in July. Will they then extend me gold through Jan 2018? I have lifetime Plat. Why anyone would be excited over Plat I cant understand. All the mileage bonuses now will be much less in 2016 anyway. What is the big deal about. Why would anyone do a status run for Plat? On another blog there is disagreement about how to get the status to be good through Feb 2018 instead of Feb 2017. Some think that if you earn the status after June 16 you are good through Feb 2018. Others think you can’t start earning until June 16. If I’m going to do this, I’d like to make sure I have it until Feb 2018. I’m planning trips at the end of March, the beginning of June, and/or the latter part of June. If June 16 is the magic date to finish, I could make that happen. I’m considering the Platinum challenge.. I have 4 trips plans in the next 60 days.. all with a short hop on the front and back.. ~200 each to ORD via AA regional jets. Is there a minimum credit per segment? If actual the 8 hops earn me 1600 EQM is a 500 minimum that would be 4,000.. If I were to start this Platinum challenge, let’s assume I have been gifted AA Gold over the phone when I sign up. Would I be earning 1.25 EQMs as a ‘gifted’ Gold in this case for purposes of the challenge? I ask because I would earn gold anyway through the first half of a round trip I am planning, but unless I had it from the beginning of the challenge I would be just short of the 12,500 EQMs (assuming the 1.25 EQM bonus for the return leg, having earned gold on the outbound leg) for platinum at the end of it.